1-75 southh to dry ridge exit. E (right) off the exit to right on 467(warsaw rd). Rt on Dry ridge Mt Zion. Left onto Chippewa. Property on the right. 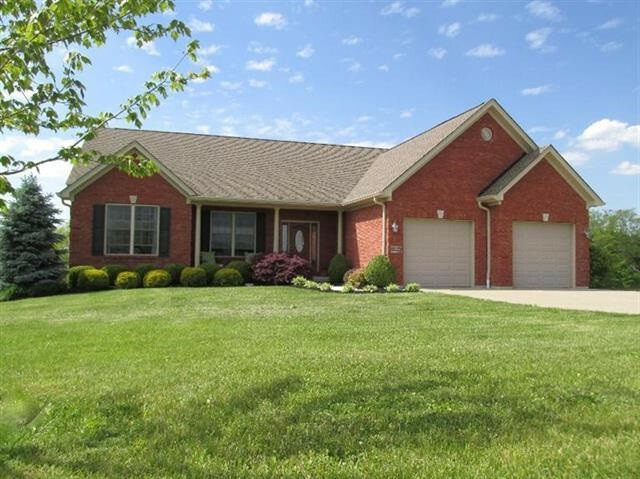 Custom beautiful all brick ranch situated on 1.42 acres on a private country/elegant quiet street. This home features a foyer, formal dinning room, gorgeous great room with vaulted ceiling and recess lighting, wood burning fireplace with stunning hardwood floors! Kitchen features Granite counter tops, beautiful wood cabinets with a unique counter area made of stone. Eating area off the kitchen that overlooks the beautiful view of land and trees. 3 bedrooms all with hardwood floors and large closets. The master suite is breath taking! Bathtub plus large walk in shower. Awesome walk in closet!